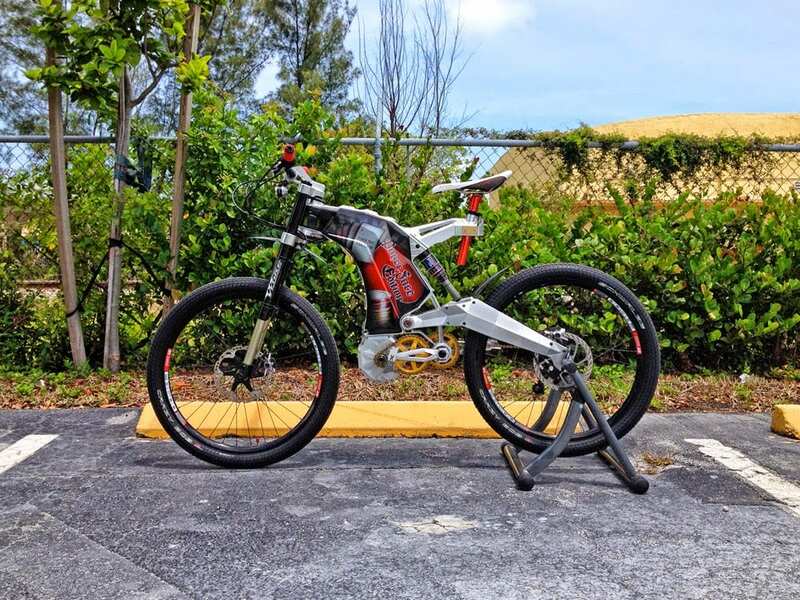 Schwalbe Crazy Bob, 26" x 2.35"
The Terminus is a one of a kind electric bike made from the highest quality components, custom built from the ground up to be an incredible performer for downhill racing or flying at high speed (nearly silently) across the tarmac. It employs a long travel double crown suspension fork with 160mm of travel and a high end Fox MXR float in the rear to keep the ride smooth and stable and the motor and battery weight are all kept low and center. 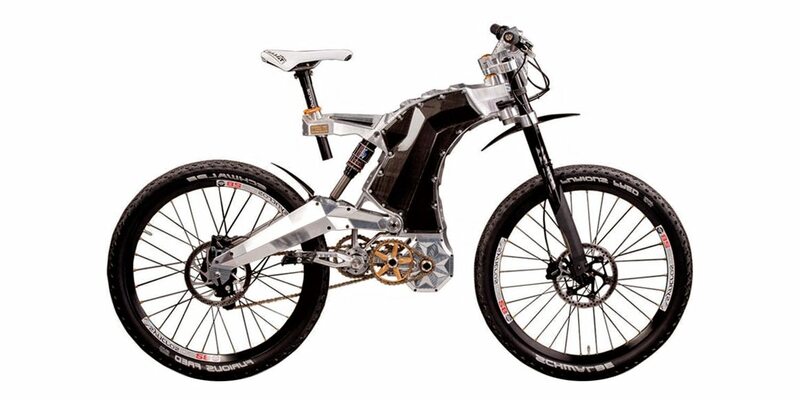 It’s completely beautiful with carbon fiber mudguards, battery casing and built in LED lights. 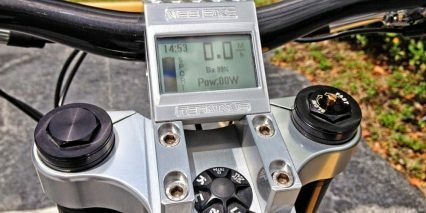 The display panel is bright and clear and the buttons to navigate the drive system are integrated directly into the downtube. 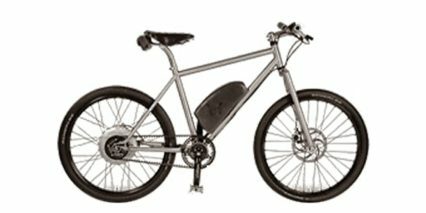 No expense was spared in the making of this bike and that’s reflected in the price tag (it starts at $38,500 and goes up from there). 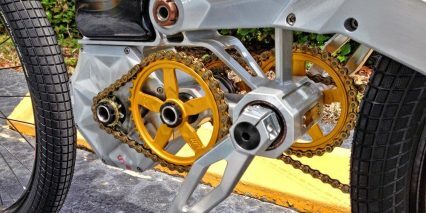 The motor on Terminus comes in three flavors starting at 750 watt and jumping up to 2,000 watt and ultimately 3,000 which can propel riders up to 50 miles per hour. 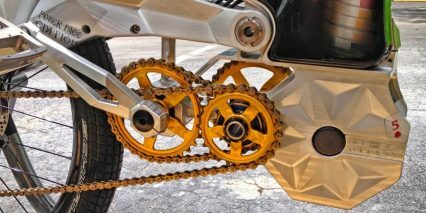 It’s a mid-drive system that uses a series of custom chain rings to pull the rear wheel. 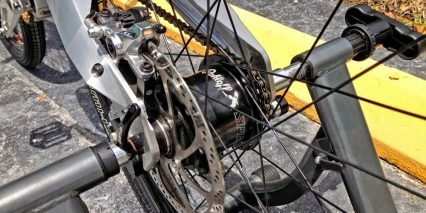 In the rear, a fourteen speed internally geared Rohloff Speedhub multiplies the force put out by the motor to achieve better climbing ability or higher speeds. 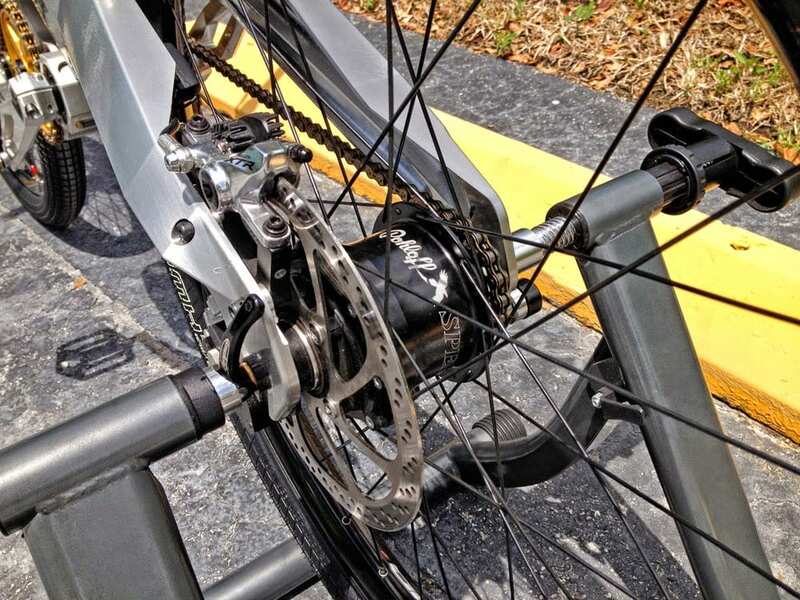 In my experience testing this bike the drive system felt fluid, solid to pedal with and operated very quietly. 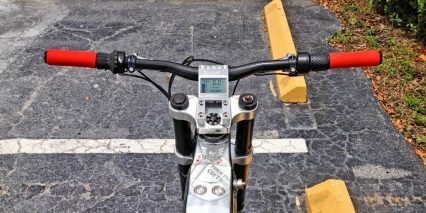 The cool part is, you can choose to have the bike configured with pedal assist, throttle or both. 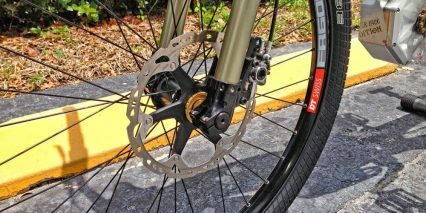 The frame, geared hub and drive system reminded me of the Optibike R11 but was quieter, much more polished and had the addition of pedal assist. 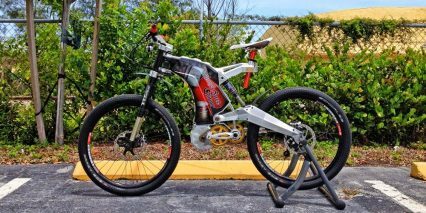 The battery powering this bike is enormous! 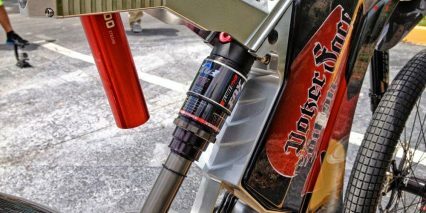 It offers 43.2 volts of power and 37.2 amp hours of capacity. That’s enough to hit 50mph and ride for 50+ miles before stopping off for a charge. 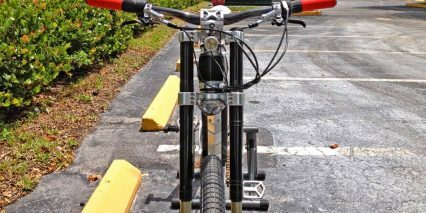 While it’s not easily removable, it is positioned well within the frame helping to balance the weight of the bike. 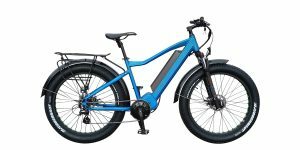 This is a heaver system compared with most ebikes but it’s obviously much more powerful and since most of the weight is kept away from the wheels the suspension performs perfectly and wheel and tire maintenance is a breeze. 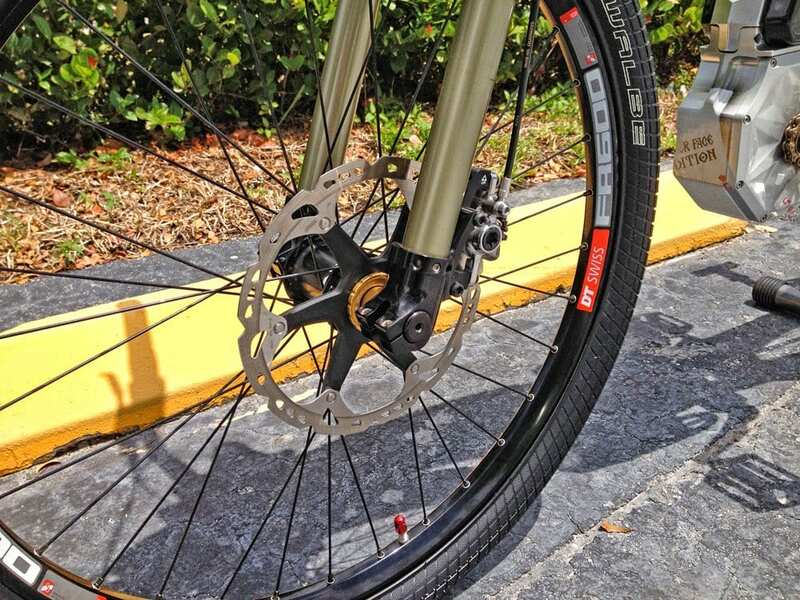 This is helped by the speedhub which keeps dirt and debris out and the chain super tight which is critical for racing applications where a break or drop can cost you the win. 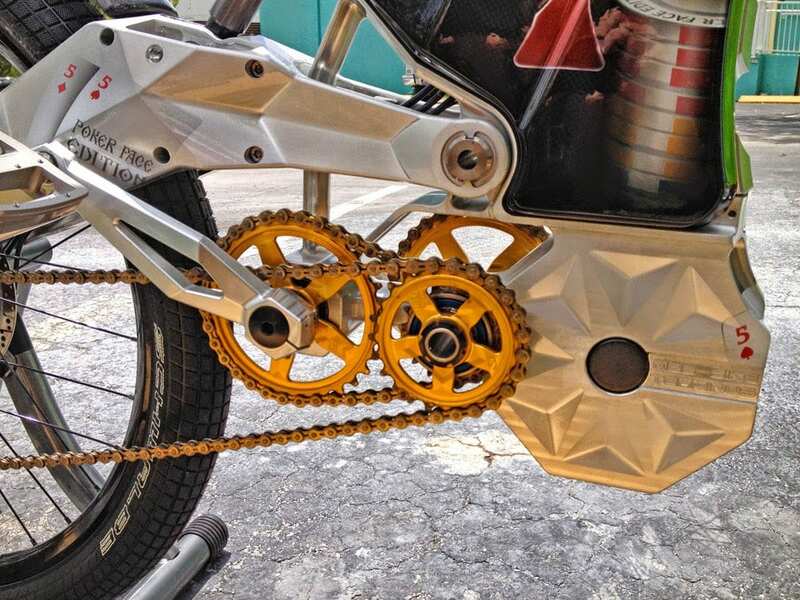 Operating this bike is like interacting with a supercar. 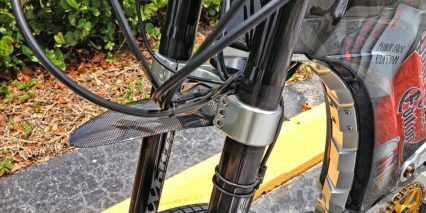 Circular aluminum buttons line the top of the downtube and the display is large, bright and center. 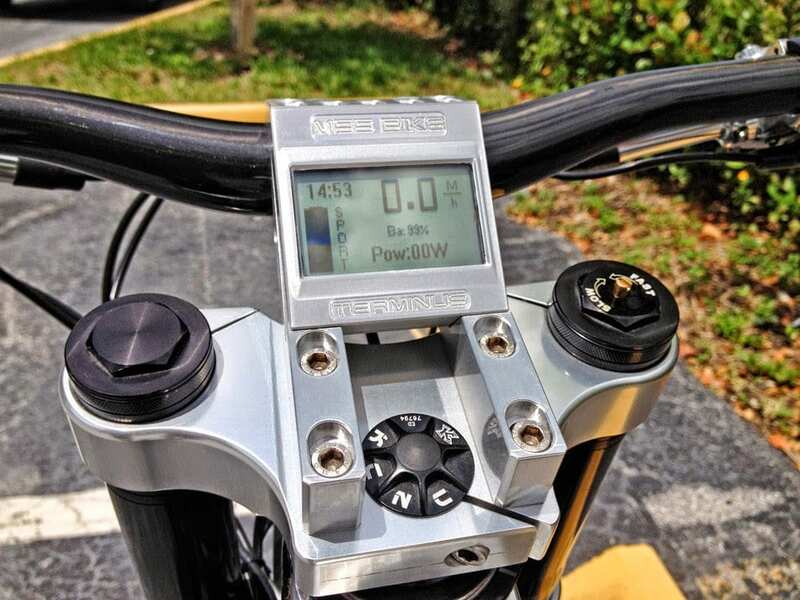 A round electronic key is used to activate the bike and different keys are used to unlock different power levels. 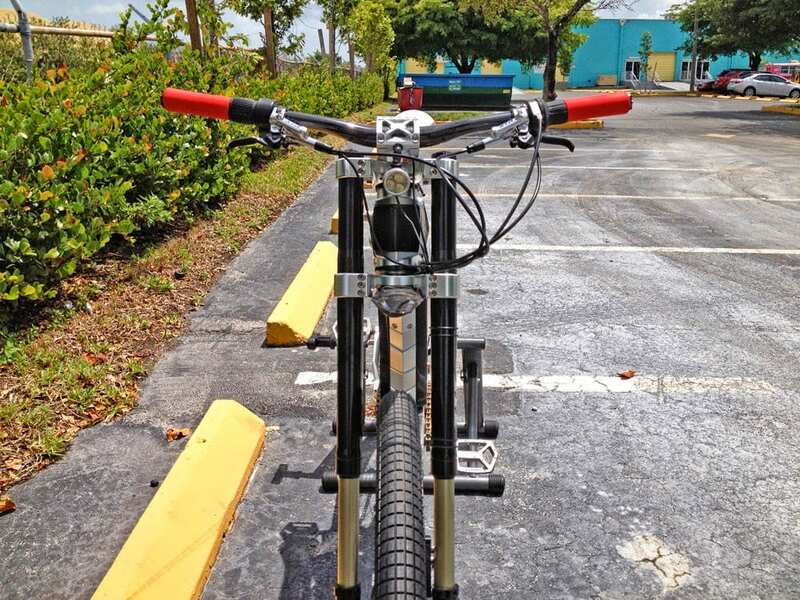 It’s a neat concept that keeps the bike street legal in 20mph “bicycle mode” vs. competition mode. 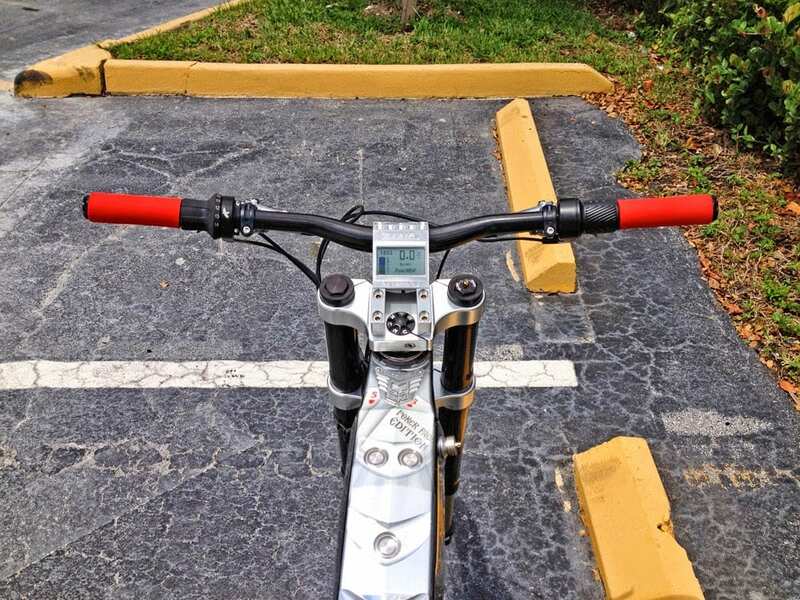 The handlebars are kept mostly free of clutter, just the grip twister for changing gears and the twist throttle for activating the motor (if you get that option). 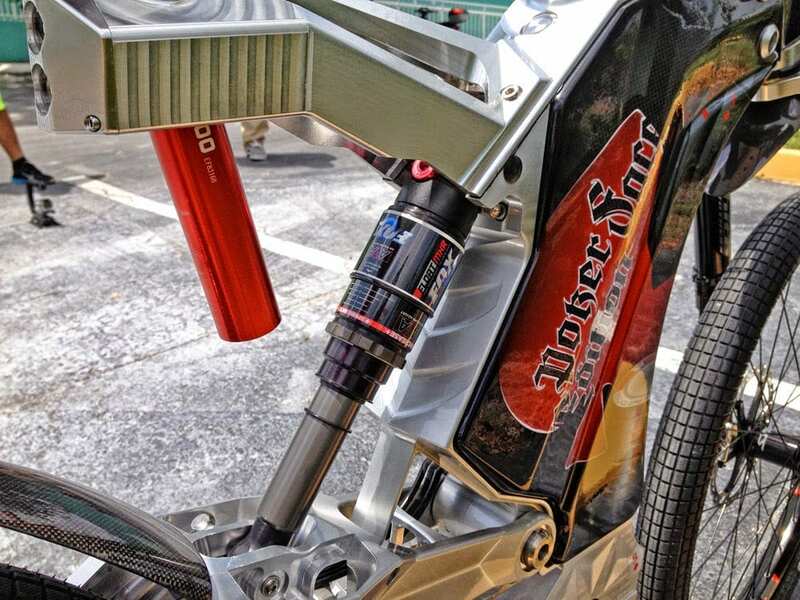 And of course, the hydraulic brake levers that work with the enormous 203mm rotors to bring you back down to Earth. It’s easy to bash this kind of elite toy but I really appreciate the attention to detail and spirit that was put into bringing it to life. 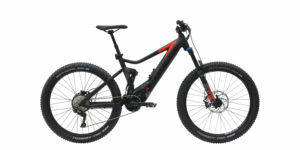 They really started from scratch and yes, the price tag is high but this bike really performs. 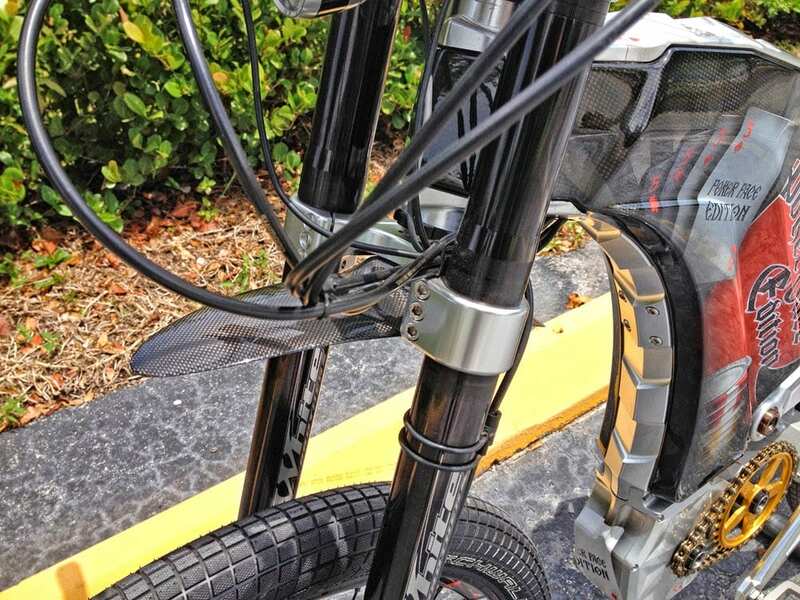 Sure, there’s no water bottle cage mount and the bike lacks a kickstand but it can climb mountains like a champ and the suspension will keep your back and neck in the game. 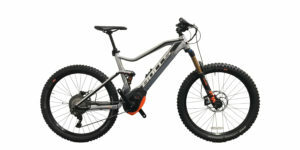 It’s lighter than a Stealth, more refined than an Optibike and impressively quiet. 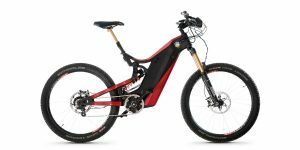 This is a joke, 38.5k $, … you can have a t-rex for this price that is also handmade and have machined parts. This thing is too heavy 65pound, … no stand to take care off, put that down on the rocks. No, nono.